With roots extending back to the mid-1960s, Continuum Home Health has helped care for hundreds of individuals dealing with recovery from alcohol or drug addiction. Over the years, we have supported and guided countless Connecticut families and caregivers as they coped with alcohol addiction recovery, drug addiction recovery and related issues. It’s very likely that we’ve assisted families in situations very similar to yours. 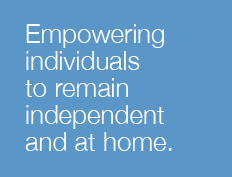 Founded in 2001, Continuum Home Health began as a sister agency to Continuum of Care, an agency that has been a leader in residential case management and community-based alternatives to psychiatric inpatient care since 1966. 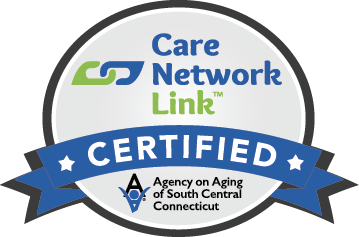 One of the most prominent home health providers in the greater New Haven area, Continuum Home Health is a nonprofit, Medicare-certified licensed agency that is recognized by mental health physicians for its experience and expertise in addressing behavioral health, developmental, and substance addiction issues. Drawing on many years of experience, Continuum Home Health provides compassionate and comprehensive private home care recovery and rehabilitation services for patients with alcohol and drug addiction issues who require individual, in-home support in order to succeed in recovery. When you call Continuum Home Health, we will listen to you and answer your questions. This conversation is followed by a personal assessment in the privacy and comfort of your own home. You will find out what to expect given your loved one’s situation. We will address your issues and concerns and explain how our home care nurses and other services can assist you. In close cooperation with your family we will build a personalized rehabilitation plan, subject to your doctor’s approval, that meets your loved one’s specific needs. Addressing addiction’s causes sometimes means facing difficult emotional and psychological issues. As part of our drug and alcohol addiction recovery and rehabilitation services, Continuum Home Health’s home care professionals identify and help patients cope with problems such as anxiety and depression. Continuum Home Health also creates support structures that prevent these underlying issues from leading a client back into addiction. Through our Healthy Mind, Healthy Living program, each patient has access to an interdisciplinary team led by a primary care nurse, who works with the physician and the case management agency to develop a patient-specific plan of care. (If no case management agency has been assigned, Continuum Home Health handles this service until the patient is referred and accepted by one.) Patients receive assistance with managing their day-to-day life activities, as well as assessment and management of their addiction recovery needs. Since drug and alcohol addiction may be coupled with psychiatric or physical issues, Continuum Home Health provides a comprehensive team approach that provides a full range of coordinated mental and physical care through a single agency. Care management may include home health aid, physical rehabilitation, social work services, skilled nursing, and administering medication.